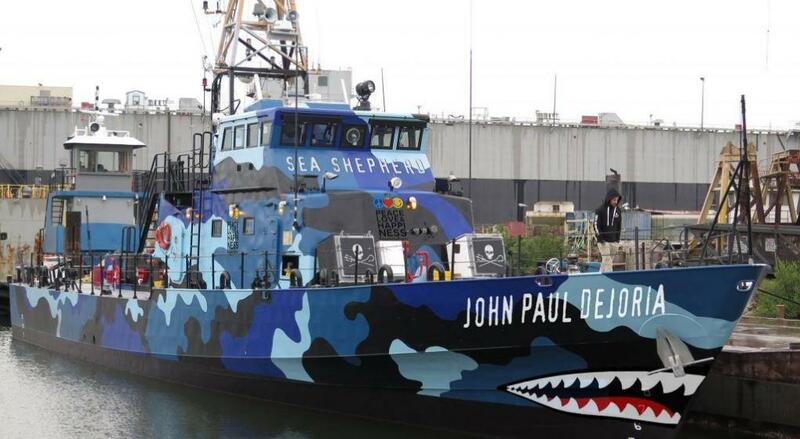 During the night of December 24th, the M/V John Paul DeJoria was patrolling for poachers when they observed suspicious activity on the radar. The night vision drone was flown to investigate the targets. While recording, our crew noted that one poacher on board was holding a firearm. In an act of unprecedented violence, the poacher then fired over 20 shots at the drone, destroying it. Undeterred by the shooting of the drone, our crew continue to patrol the waters of the vaquita refuge. Just a few days following, our ship, in conjunction with the Mexican Navy, successfully chased a fleet of poachers out, protecting the vaquita for another night. They also removed 13 nets within 24 hours, a record high number of nets pulled in a single day. On December 30th, crew on the M/V John Paul DeJoria located a fishing boat participating in suspicious activity. Sending the drone to investigate, the crew identified that the fishermen were pulling illegal gillnets. As with earlier the previous week, a fishermen fired a handgun at the drone six times. After contacting the Mexican Navy, who pursued the vessel, the M/V John Paul DeJoria headed to the location of the net, where they found a live entangled totoaba. The crew saved the totoaba, marking a victory for the species and a loss to the poachers.